Turkey drinks more tea per head than any other country and regular visitors to Turkey will have experienced the culture of çay (Turkish tea). 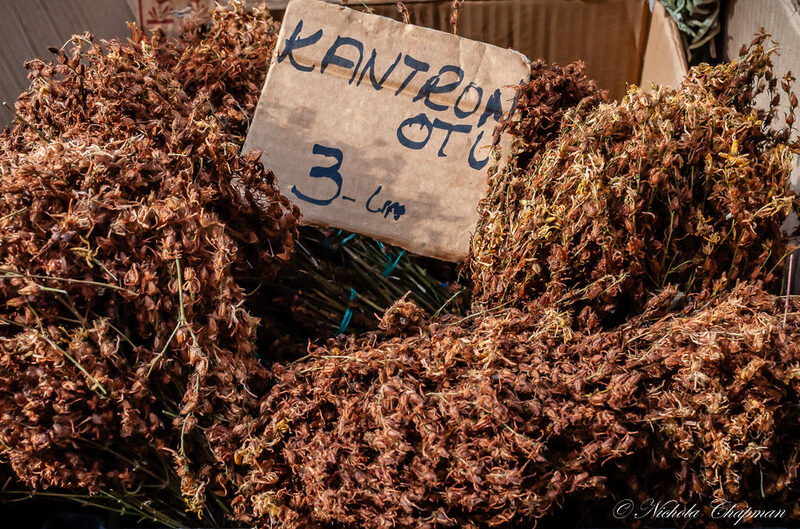 Tea in Turkey is so much more than just normal çay and Turkey’s herbal teas are some of the best in the world. If you prefer caffeine free, you’ll find freshly-brewed herbal tea in most cafés. Here are a few herbal teas you can make for yourself. 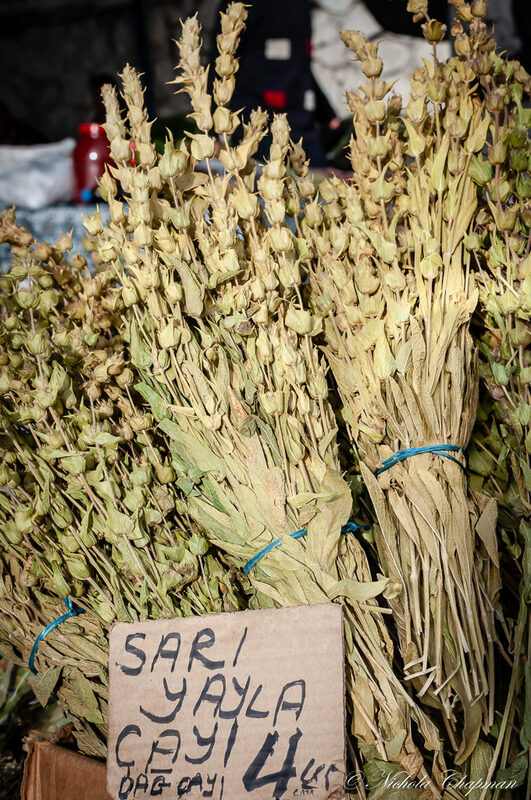 A member of the mint family, sage originated from the northern Mediterranean coast, where it was traditionally used for cooking. 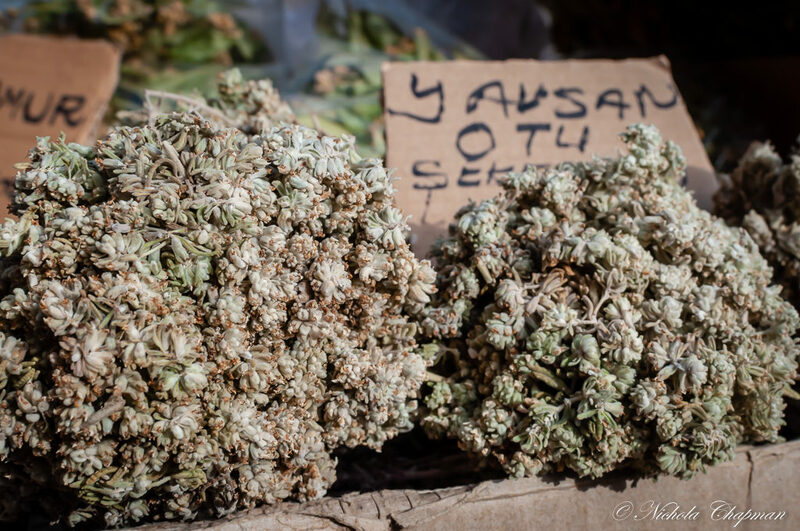 Sage has many medicinal properties. 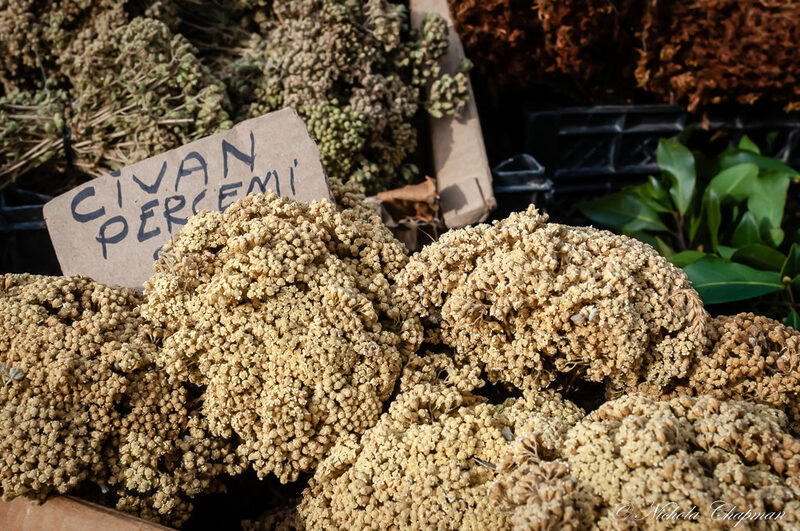 It is a stimulant, a diuretic and an expectorant, it has anti-inflammatory, antioxidant and antimicrobial properties, and also serves as an appetite enhancer. 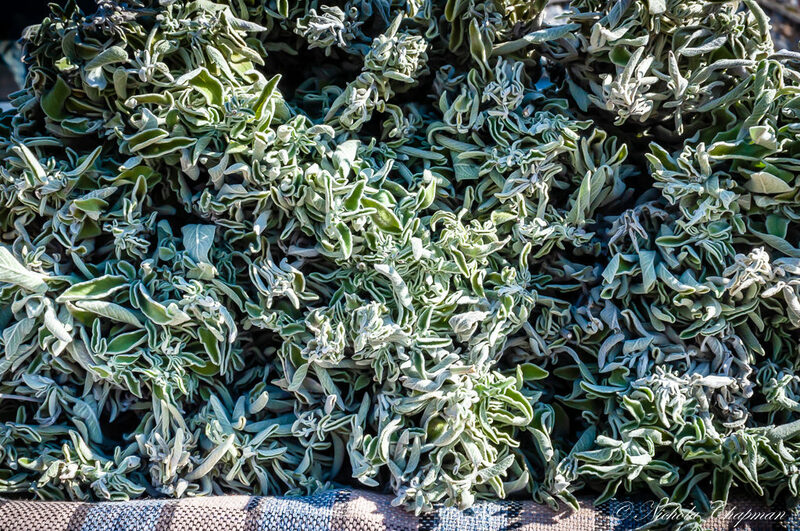 Because of these characteristics of sage, sage tea provides many health benefits. Bring one cup (8 oz.) water to a low simmer; remove from heat. 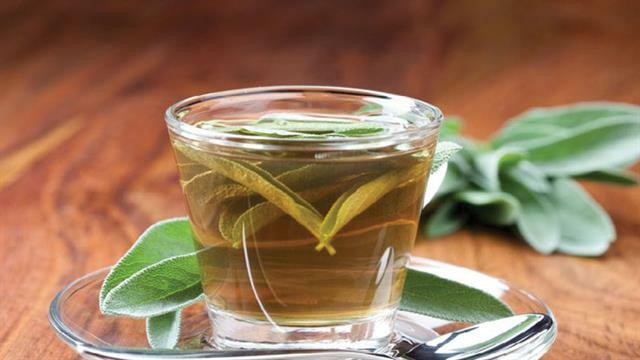 Add two teaspoons of fresh sage leaves or one teaspoon of dried sage leaves to the hot water. Steep the tea for at least five minutes; strain. The longer you steep the tea, the stronger the flavor and potential health benefits. Pour the tea into a cup and enjoy. 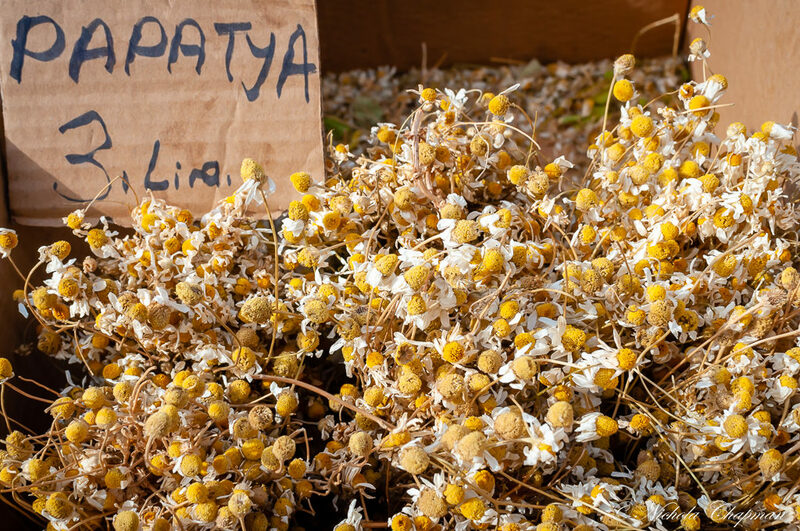 Brew a cup of fragrant chamomile tea to enjoy so many chamomile tea benefits. 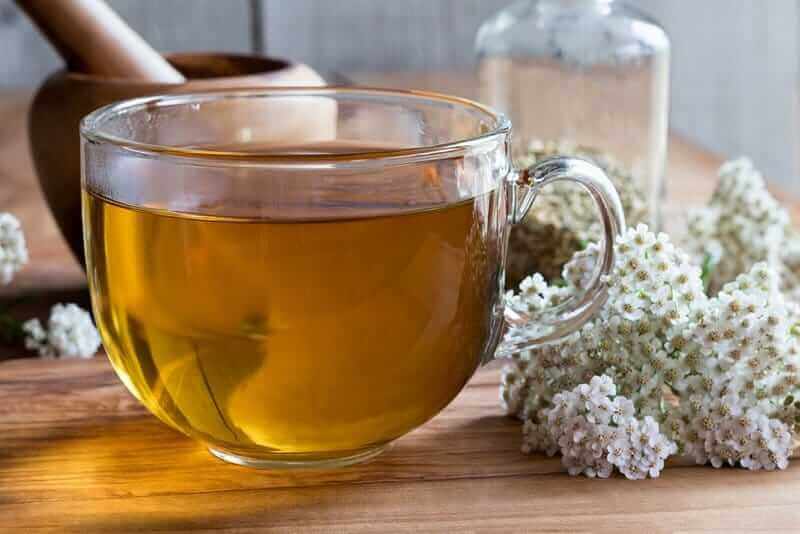 This herbal tea eases insomnia, boosts your immune system, banishes menstrual cramps, and much, much more! To make chamomile tea pour 8 oz of boiling water over 1 tbsp dried chamomile flowers, cover and leave for 5 minutes to steep. St John’s Wort – Kantaron Otu. Photograph by Nichola Chapman. 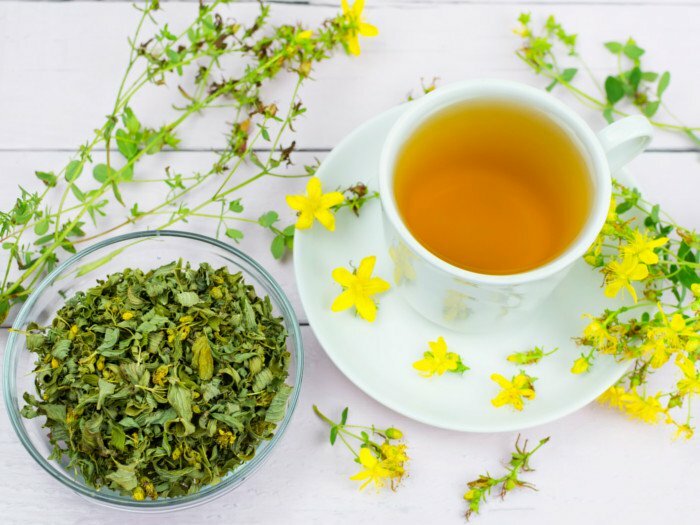 St. John’s Wort tea has many amazing and powerful health benefits including, relieving stress and anxiety, treating insomnia, soothing respiratory ailments and skin care. Making St. John’s Wort tea at home is simple, provided you have access to the dried or fresh herb. Add 3 teaspoons of fresh or dried flowers to the water. Allow the mixture to steep for 4 minutes. Strain out the flowers and serve hot. Add honey for flavor, if desired. 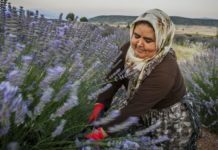 Turkey might not be the first country that springs to mind when we talk about French Lavendar (lavandula stoechas) but it has its own beautiful lavender fields in the village of Kuyucak in the province Isparta. Lavender’s lovely scent makes it very popular and there are many uses for dried lavender. 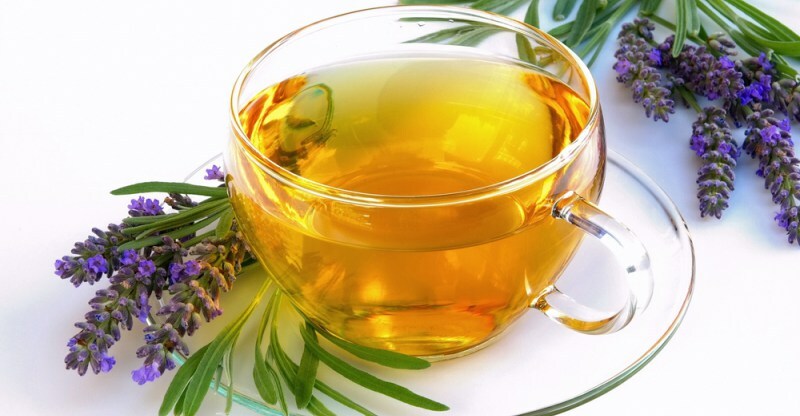 Lavender tea has an aromatic fragrance and delicate flavor and offers many health benefits. Boil 8 oz. of water. Place 4 tsp. of fresh lavender buds into a tea ball or sachet. Place the tea ball and water into a teacup. 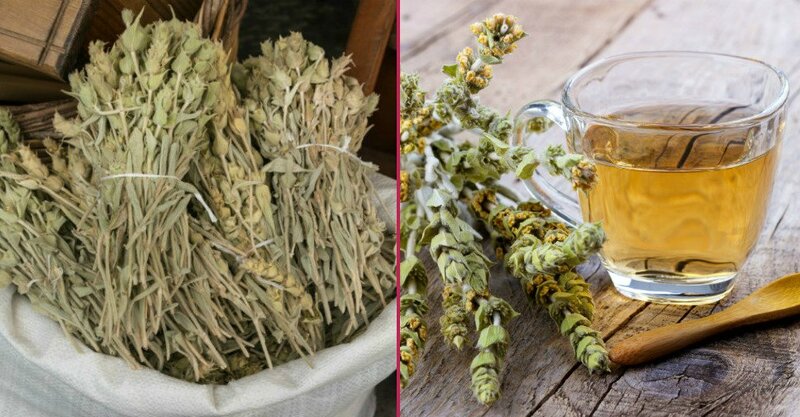 Moutain Tea (Sideritis) is a genus of flowering plants widely known for their use in herbal medicine as well as a herbal tea. 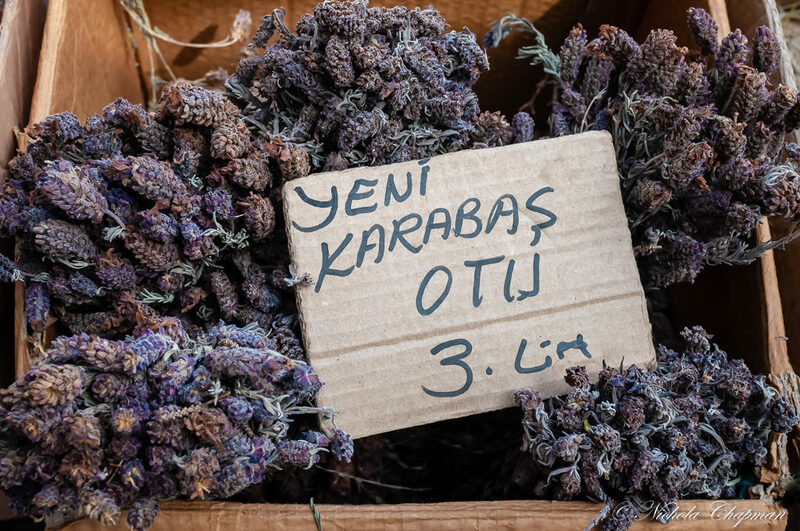 The tea (dağ çayı) is made from the dried flowers, leaves and stems of the plant which is found on rocky slopes at very high elevations (over 1000 meters). To brew, simply pour some freshly boiled water in a cup with a couple of mountain tea twigs inside. 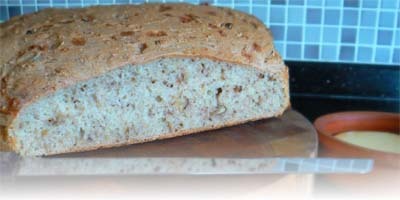 Excellent with a spoonful of honey, it is also lovely with cinnamon or lemon. Since it’s naturally caffeine-free, it can be enjoyed any time of the day. Fresh, aromatic and flavourful – can be enjoyed either hot or cold. Recent studies have shown Speedwell (Veronica) tea may be an effective preventative treatment for ulcers. It is most often used been used for coughs and congestion. 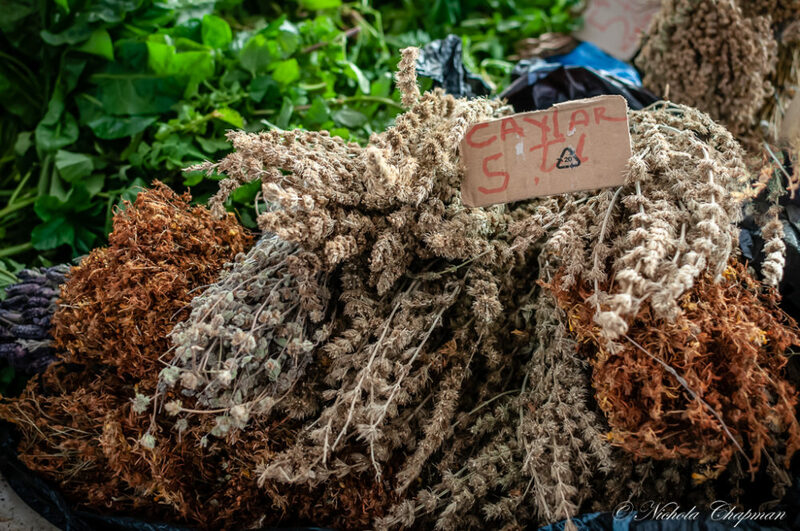 In modern herbal medicine, speedwell tea, brewed from the dried flowering plant, sometimes serves as a cough remedy or as a lotion for irritated or infected skin. To make this wonderful tea, use 1-2 tsp. of dried herb per cup of hot water. The recommended dosage of tea (as an expectorant) is one cup taken two to three times daily. Add 1 teaspoon of dried yarrow flower to one cup of boiling water. Cover and steep for 30 minutes, then strain and serve.